 ELK GROVE VILLAGE, IL [April 13, 2017]—Edlong Dairy Technologies has been named to the inaugural list of Best Places to Work for Minorities by Crain’s Chicago Business. In addition to offering flexibility, security, opportunity and recognition, the ten Chicago-area companies that received this award were commended for providing exceptional opportunities for mentorship, advancement, support and offering an intangible sense of belonging for diverse employees. “Our mission is to enrich the lives of everyone we touch, and that starts with people,” says Edlong President and CEO Laurette Rondenet. “We have always encouraged multiple viewpoints and building an inclusive culture with a larger collective experience that helps us serve our customers better,” she adds. Winners were chosen based on results from two surveys. An employer survey focused on quantitative issues about pay, promotions, health care, hiring practices and more. An employee survey evaluated fairness of pay, vacation time, relationships with management and co-workers, career development, culture and other workplace issues. The employer survey was completed by 195 companies, and more than 14,900 employees completed the employee survey. Experience the science and art of authentic taste. Edlong has the broadest global portfolio of dairy flavors and is the only certified woman-owned flavor house in the food manufacturing industry (WBENC). Founded in 1914, we are committed to world-class service in custom flavor development, applications and culinary support, regulatory compliance and supply chain performance. Our broad portfolio of dairy flavors improves classic taste profiles for Cheese, Butter, Cream and Milk profiles while also delivering unique functional value in the flavor and mouthfeel of sugar-reduced products while masking nutritional ingredients in foods and beverages.